(San Jose, California--June 27, 2016) Quantum Corp. (NYSE: QTM) today announced that Barry-Wehmiller, a $2.4 billion global provider of technology and engineering services for industries involved in packing, corrugation, sheeting and paper conversion, has deployed StorNext Pro™ Studio as the storage foundation of its corporate video production workflow. 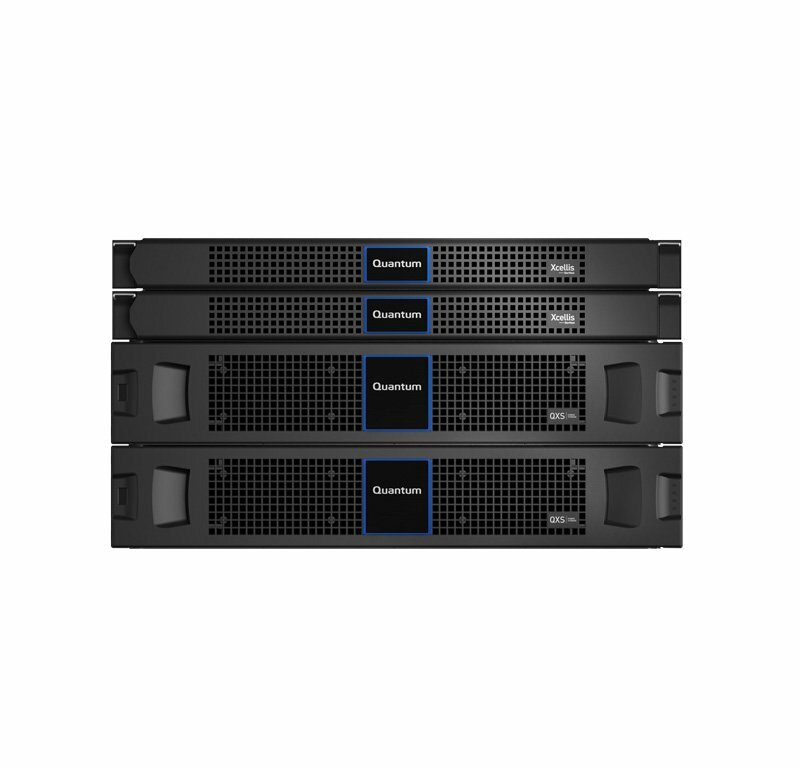 Recommended by 1303 Systems, an integrator specializing in storage and management tools for video production, the StorNext® solution has enabled faster creation of 4K and other video content and more efficient, cost-effective collaboration in support of Barry-Wehmiller's unique culture. Barry-Wehmiller's corporate vision stresses the value of team member contributions and the importance of creating a culture of communication and personal fulfillment — a vision articulated in a best-selling management book, "Everybody Matters: The Extraordinary Power of Caring for Your People Like Family," co-authored by company CEO Bob Chapman. Building and maintaining that culture across more than 80 companies and 11,000 team members demands effective communication, and the Barry-Wehmiller corporate video team plays a key role by producing content ranging from short-form documentaries and training materials to speeches and longer productions featuring the CEO for global distribution. As the number of video projects increased and the size of files involved grew ever larger, the video team struggled with an aging corporate-IT-supplied NAS system that had difficulty supporting all the traffic on a busy network. The system lacked the power and capacity needed for a high-resolution, multi-stream, edit-in-place video production workflow. "The performance limitations made it feel like our team was running through molasses — and to collaborate on projects, we ended up passing hard drives around," said Chad Harris, Barry-Wehmiller producer. The video team's leadership, with the support of corporate IT, decided the company needed a solution designed for media workflows and turned to 1303 Systems to help guide the project. Based on the advice of 1303 Systems, Barry-Wehmiller replaced its aging NAS system with a Quantum StorNext Pro Studio solution, which is optimized for collaborative workflows, enabling faster and more cost-effective creation, management, processing and delivery of content. Powered by Quantum's StorNext 5 platform, the media workflow solution includes the company's new Xcellis™ Workflow Director and 48TB of high-performance QXS storage connected to dedicated Fibre Channel fabric. "StorNext is the standard in the media workflow world, and we knew StorNext Pro Studio would be perfect for Barry-Wehmiller's needs," said Thad Vaughn, vice president of operations and infrastructure at 1303 Systems. "It's easy to install and maintain, with no negative impact on the rest of the corporate network or storage resources. Because the system scales easily, the Barry-Wehmiller team has room to expand, as well as the option of setting up automated archive to offline storage." With the high-speed file sharing provided by Quantum workflow storage, multiple editors on the video production team can view and work on the same files at the same time at full resolution — including multiple streams of 4K footage — dramatically decreasing the time required to complete projects. Typical projects that previously took 60 days are now often finished in only 25-30 days. "Since we put the Quantum system in, we've been able to produce super-high-quality content with a very fast turnaround while showing management how important video is," said Elias Huch, video production leader at Barry-Wehmiller. "Equally important, we've been able to show a significant return on investment." Quantum is a leading expert in scale-out storage, archive and data protection. The company's StorNext 5 platform powers modern high-performance workflows, enabling seamless, real-time collaboration and keeping content readily accessible for future use and re-monetization. More than 100,000 customers have trusted Quantum to address their most demanding content workflow needs, including large government agencies, broadcasters, research institutions and commercial enterprises. With Quantum, customers have the end-to-end storage platform they need to manage assets from ingest through finishing and into delivery and long-term preservation. See how at www.quantum.com/customerstories-mediaent. Quantum, the Quantum logo, StorNext, StorNext Pro and Xcellis are either registered trademarks or trademarks of Quantum Corporation and its affiliates in the United States and/or other countries. All other trademarks are the property of their respective owners. "Safe Harbor" Statement: This press release contains "forward-looking" statements. All statements other than statements of historical fact are statements that could be deemed forward-looking statements. Specifically, but without limitation, statements relating to the benefits and value to Barry-Wehmiller from using Quantum's StorNext solution are forward-looking statements within the meaning of the Safe Harbor. All forward-looking statements in this press release are based on information available to Quantum on the date hereof. These statements involve known and unknown risks, uncertainties and other factors that may cause Quantum's actual results to differ materially from those implied by the forward-looking statements. More detailed information about these risk factors are set forth in Quantum's periodic filings with the Securities and Exchange Commission, including, but not limited to, those risks and uncertainties listed in the section entitled "Risk Factors," in Quantum's Annual Report on Form 10-K filed with the Securities and Exchange Commission on June 3, 2016. Quantum expressly disclaims any obligation to update or alter its forward-looking statements, whether as a result of new information, future events or otherwise, except as required by applicable law.